Extolling the virtues and damning the pitfalls of Customer Relationship Management (CRM) software are relatively easy exercises. 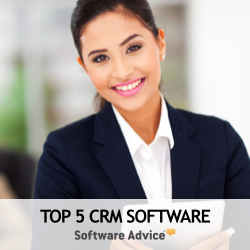 The difficulties with using CRM effectively, however, remain in play. A central issue to this perplexing situation is that CRM software is usually evaluated and purchased according to features and functionalities rather than by the tasks at hand. When performing CRM comparisons, certainly features and functionalities are important parts of a winning formula but not all features are necessary or desirable and not all functionalities are equal in value or even useful in every setting. Simply weighing platforms, features, functionalities and even costs in a CRM software evaluation is the wrong approach to selecting a solution that will deliver the most strategic objectives and compelling return on investment (ROI). As counter-intuitive as it may initially seem, choosing the ideal CRM solution is more a matter of knowing your customers, optimizing your processes and clearly defining your end goals than it is picking a brand or package of features. Best practices in selecting a CRM software solution involve a holistic approach to the entire CRM process. Here are the steps that will aid you in achieving the best results at the highest ROI using best practices applied in a holistic approach to Customer Relationship Management software evaluation and selection. It's prudent to remember that CRM is about "customer relationship" management as opposed to IT or data management. This is why CRM software selection should begin from the customer end of the equation rather than the IT end. By reviewing your customer base and assessing their expectations, preferences and buying behaviors, you are defining the best means to increase your sales, build customer loyalty and boost referrals. In other words, your business is your customers and so your focus should be on growing the value of those customers. All other business functions merely support efforts to cultivate, serve, manage and profit from customers. It's important to actually poll your customers. If you merely watch customer trends within your business walls or website, you may get a false reading. Why? Because customer activity is restrained to the parameters you have already set in play. For example, if your company doesn't offer chat online, then customers cannot use chat, even if they prefer to use that channel. A 'no activity' mark in the chat column on your assessment form would then be more of a reflection of what you currently offer than it would be of what your customers prefer. If you have performed a full and accurate customer assessment, you will have a very good picture of what it is that you actually need to deliver and manage in the customer relationship, and the features required in a CRM software application to accomplish the tasks. For example, a car rental discount service's customers may want streamlined self-service features whereas an upscale hotel chain's customers may want white-glove treatment complete with concierge services. By identifying these expectations, and associating financial value to the company, you can then identify the functions and features you'll require from a CRM software solution. Do avoid the common trap of believing that a one-dimensional measurement of your customer is sufficient. Customer segmentation is critical and it is important to measure customer traits on more than one axis. Demographics, for example, can also affect how customers relate to you. Older customers may prefer email and phone channels to chat and social CRM features. Younger demographics may prefer self-help features. Or, these assumptions may not hold true at all for your customer base. A company selling complex technologies would have a more sophisticated customer base, regardless of demographics, than a big box retailer would. The bottom line: Know Thy Customer. Don't guess. Don't assume. Go forth and get to know them. Simply weighing platforms, features, functionalities and even costs in a CRM software evaluation is the wrong approach to selecting a solution that will deliver the most strategic objectives and compelling return on investment (ROI). As counter-intuitive as it may initially seem, choosing the ideal CRM solution is more a matter of knowing your customers, solidifying your processes and clearly describing your end goals than it is picking a brand or package of features. Don't Make This CRM Selection Mistake!